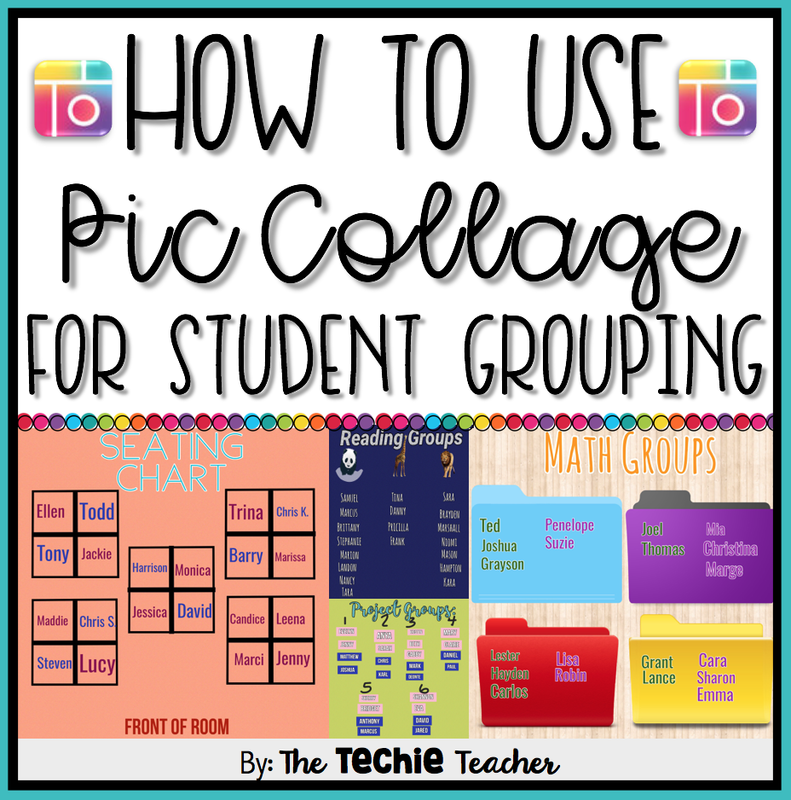 Let’s take a look at how we can set up these types of grouping charts using the creation tools within PicCollage. I opened a freestyle canvas and used the web search to find an image of a square to represent a student desk (Search: square png). I resized the square by pinching the image until it was the size I needed and then I duplicated the square 19 times (to equal 20 students in the class). To duplicate an image, double tap the image and tap duplicate. I arranged the squares to represent the desk arrangement in the classroom. To get the + in the middle of the square, I tapped the text tool and typed the plus (+) sign. I enlarged the + by pushing apart my thumb and pointer finger on the image and then positioned each + in the middle of the square. I saved the template to the camera roll. Next, I opened a new canvas and inserted the saved image as a background. 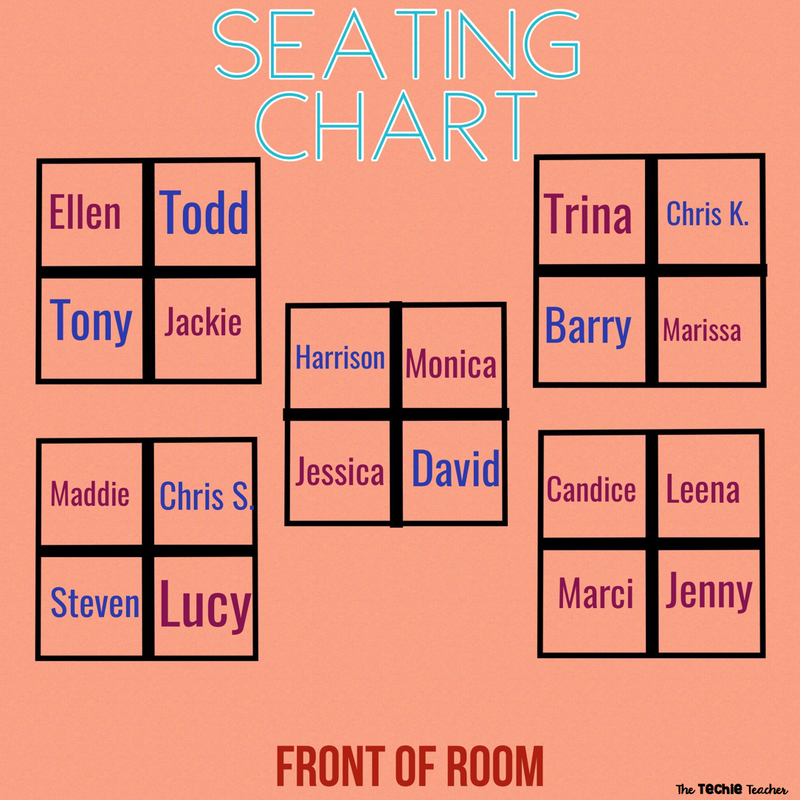 I did this because I didn’t want the “desks” to move once I added the names. Finally, I used the text tool to add student names. These were the only moveable pieces on the canvas that I could rearrange whenever I needed. Notice how I color coded boys=blue and girls=purple. 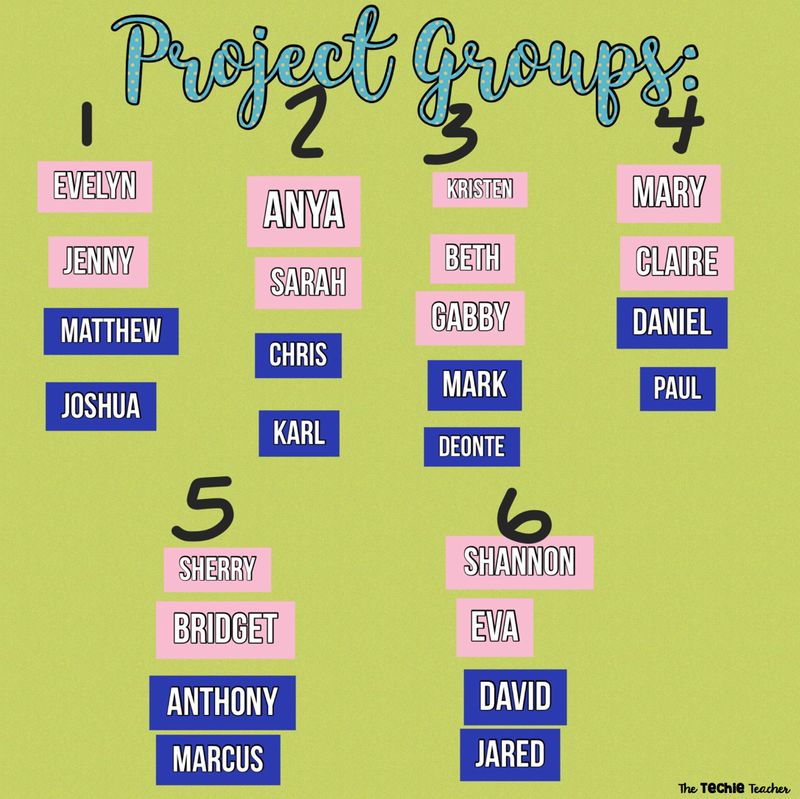 This is a good strategy if you want to evenly spread students throughout your classroom☺At a glance, it is easy to see the spread. I opened a grid, skipped the prompt to add images and selected the three column grid since I had three reading groups. Instead of using the grid, you could always use the drawing tool to draw your lines to separate the groups. Next, I used the text tool to add the title Reading Groups at the top. 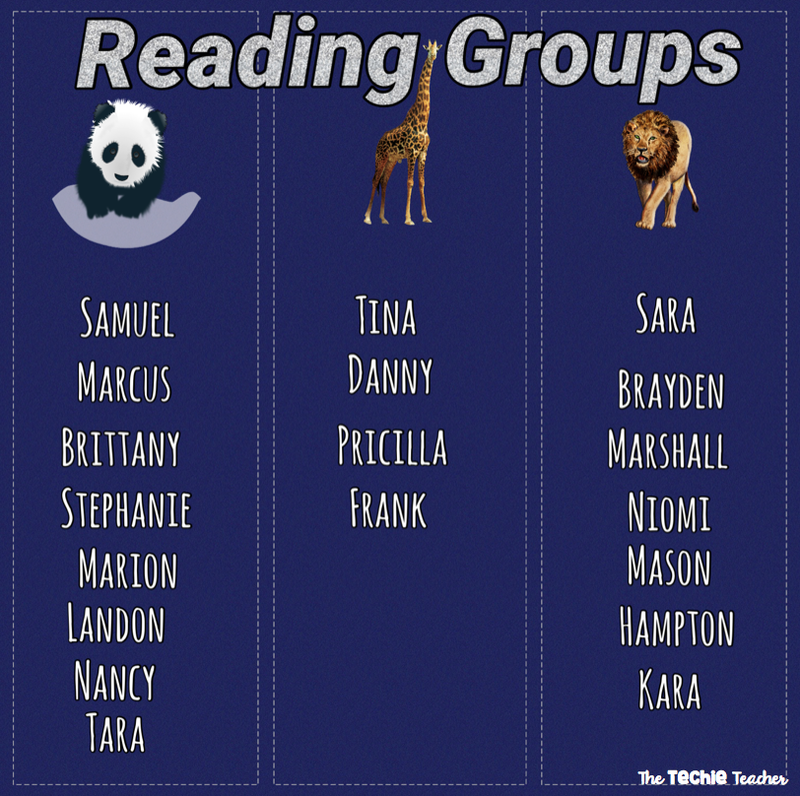 Then I used the built in image search to find images of the names of my reading groups: The Koala, The Giraffes and The Lions (you can always use text instead of images). Finally I added the names using the text tool. I opened a freestyle canvas and used the web search to find the folder png images (Search: folder png). You can use any type of image with a flat surface for this part, I just happened to choose file folders. 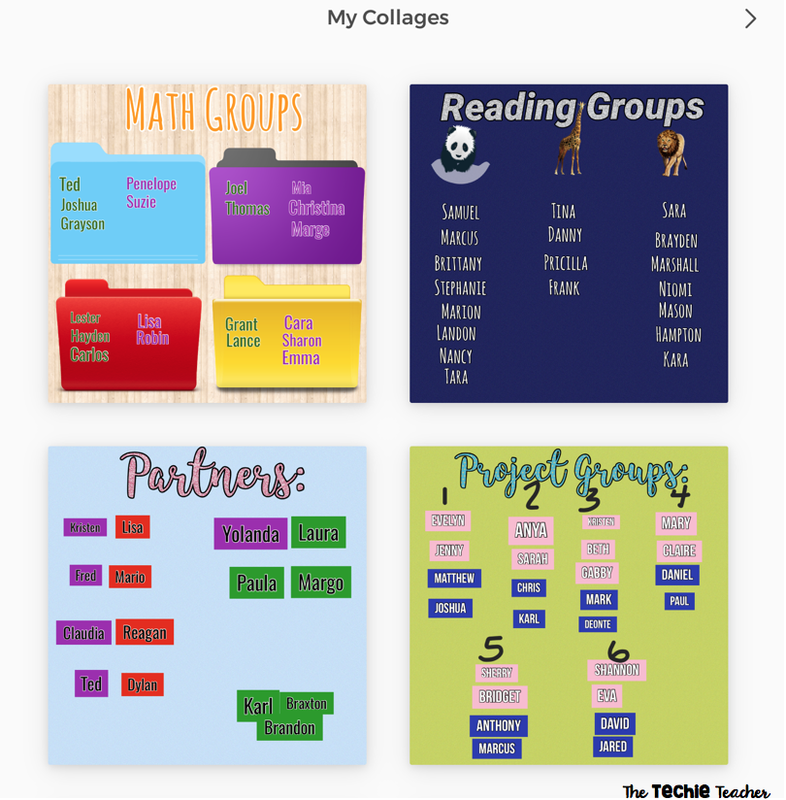 Once I added the images and the text Math Groups, I saved the template to the camera roll. Next, I opened a new canvas and inserted the saved image as a background. I did this because I didn’t want the folders to move once I added the names. Finally, I used the text tool to add student names. These were the only moveable pieces on the canvas that I could rearrange whenever I needed. This is the most basic out of all the templates I created! I opened a freestyle canvas and just used the text tool to add everything you see in the image above. I color coded students by ability: Purple=above grade level, green=on grade level, red=below grade level. This makes it easy to create heterogenous partner groups! Everything you create within PicCollage saves automatically under My Collages. I simply return to My Collages to access and edit my groups. With all of these examples you can easily project your iPad on the board so students know which group they have been assigned to. Those of you who use Google Classroom or another learning management system, you could save the group canvas to your camera roll and upload it to the classroom stream for students to see. 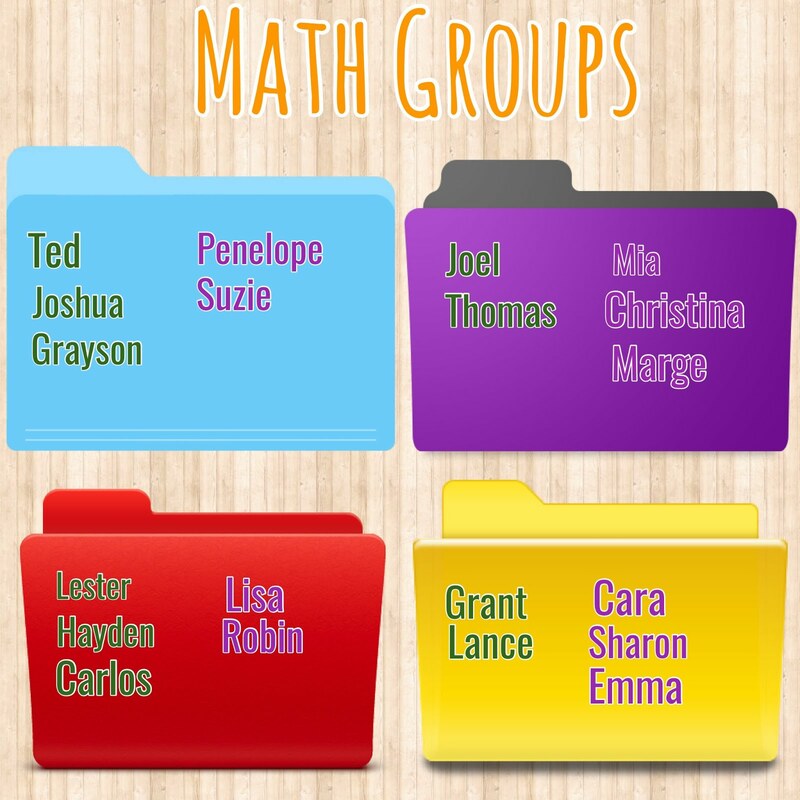 Get creative with how you create and share your grouping charts! Julie Smith is an elementary Instructional Technology Consultant from Saline, Michigan. She works with teachers and students in PreK-5th grade. 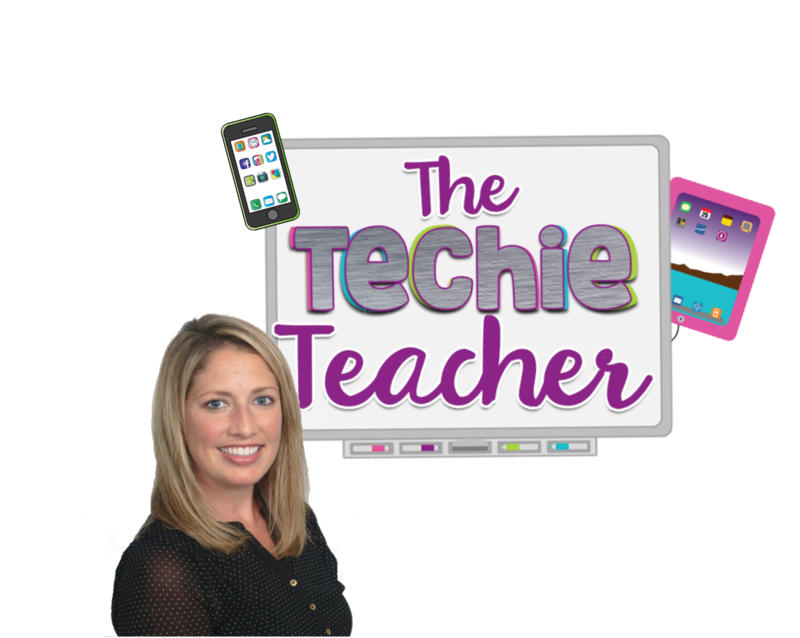 Julie is the author of the blog, The Techie Teacher and is a PicCollage Ambassador. You can also follow her on Facebook, Instagram, Twitter, YouTube and Pinterest.